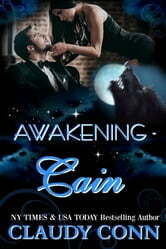 Rescued by Wendy and Bray, Cain emerges forever altered. The Fae elixir that was administered to him in order to save his life changed him. He is no longer werewolf, but, shifter and Fae inside of him are fighting for dominance. All he wants is to get to his pack and tell them he is alive. All he wants is to save his pack and Maven from Becket Rheams. Does he love Maven? That is a question that will haunt him as Tara explodes into his world. Tara is a Daoine princess who is trying to find redemption and prove herself to her queen and her family. Cain needs help, she decides. He needs Fae training. He needs her. When these two meet, worlds collide in an explosion of sensations, with Rheams and Maven wickedly hovering with their own dark agenda. This is the continuing story of Cain Crowton who is now a hybrid - Faewolf and is still coming into his Fae powers. He was taken over by an evil demon who used his body for a year and lost his Crowton Pack. He's now on a mission to find them and his lover Maeve. Tara, a Royal Daoine Princess of the House of O'Hare and sister to Kian, had made a very poor choice with the evil boyfriend she chose. She had been punished for it and now intends not to get into anymore relationships until she meets Cain. Tara has decided to see her friend Harley in the Human Realm and comes across them talking to Cain. She's fascinated with him and realizes he's just been made a hybrid and they are letting him go out on his own without being properly trained. She decides to follow him to help when needed. Since he is now part Fae, even though she tries being invisible, he can see her. He's fascinated with her and decides to let her come along. They are going to find the evil Becket Rheams who stole Cain's pack and his lover. But just what is Becket Rheams??? Now their travails begin and what an adventure. Plenty of action, suspense and hot love scenes. I just love this series and highly recommend this book and the other three also, and love seeing old friends from the other books. This is a cliff hanger and can't wait for book #5 - Awakening - Into the Darkness, coming Jan. 2017. I love all of Claudy's books and she never disappoints, no matter what genre she writes!! This book is for adult readers due to the sexual content.